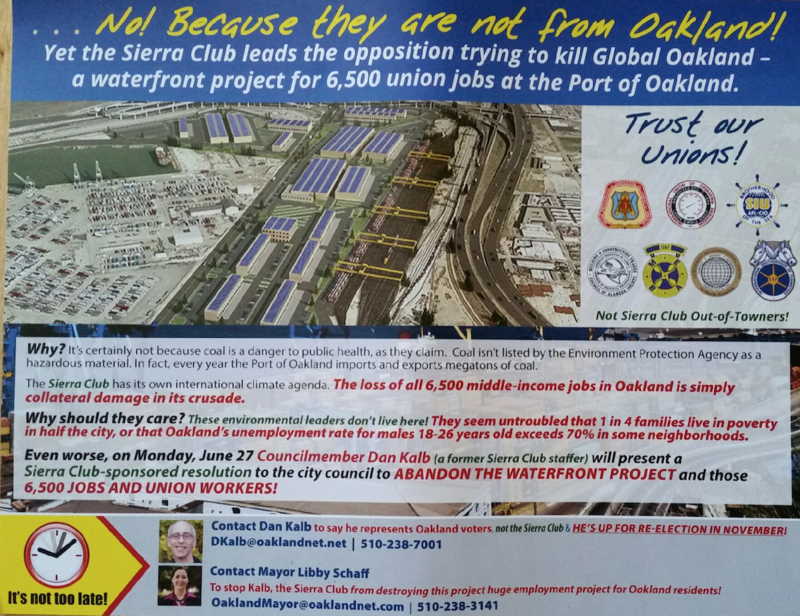 Opponents of a plan to ship millions of tons of coal through Oakland are condemning a mailer distributed to city residences last week, saying it contains misleading information and false endorsements. The flyer, sent by a group called Jobs 4 Oakland, accuses the Sierra Club of pushing its “own international climate agenda” in an effort to prohibit the transportation of coal through West Oakland. The City Council is set to vote on an ordinance that would ban coal at 5 p.m today. On the line, the mailer states, is the potential loss of 6,500 middle-income jobs. Kaplan also noted that the mailer was printed with logos from unions that hadn’t granted permission to be featured on the mailer. When the Express reached out to those groups, the Marine Engineers' Beneficial Association and The Seafarers International Union, representatives said they had never heard of the Jobs 4 Oakland group or its mailer, and hadn’t given the group permission to use their names. 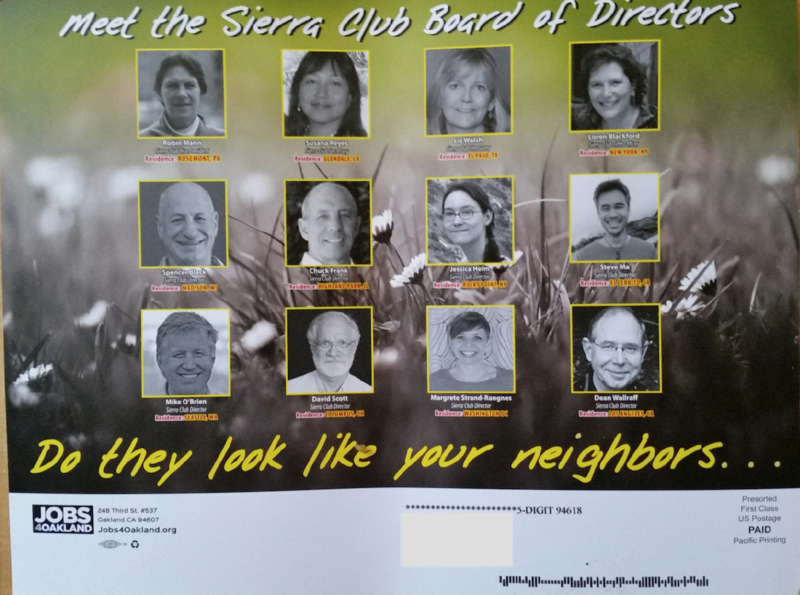 Former Oakland Mayor Jean Quan told the Express that, after she received the mailer at her home on Friday, she immediately reached out to friends at each the unions listed as opposing a coal ban. Everyone who got back to her, she says, told her they hadn’t endorsed the mailer. Quan, who called the mailer “desperate”, also found its description of potential job loss “profoundly exaggerated.” Most of the permanent jobs at the terminal are in warehouses operated by ProLogis. Prologis is unaffiliated with the proposed coal operations, and earlier this year signed a completely separate development agreement with the city. In other words, if the marine terminal isn’t built because of a ban on coal, most of the Army Base’s redevelopment — and most of the jobs building and operating it — will still move ahead. It’s unclear who funded the Jobs 4 Oakland mailer, but a letter the group sent to city officials earlier this month was signed by Ron Muhammed — an Oakland resident who has supported developers Phil Tagami and Jerry Bridge’s coal proposal in earlier council meetings. Tagami and Terminal Logistics Solutions did not immediately respond to phone calls from the Express. Muhammed’s email address that was listed in his letter did not work. The website for the Jobs 4 Oakland group also does not work. Critics say that's not nearly enough time to review in advance of Monday's vote. This week, the trailer and crowdfunding campaign was released for 'Alice Street,' a movie about a mural and much more.